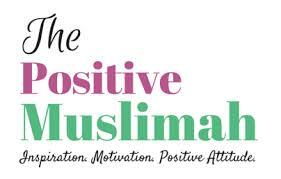 How to be A Positive Muslim: Interview with The Positive Muslimah Herself! 1. What inspired you to start your website? There are 3 things that inspired me to start my website: my love to inspire Muslimahs, my passion for web developing and designing, and my love for writing as a way to express my thoughts and feelings. Let’s start with my love to inspire Muslimahs. I love to inspire Muslimahs. I used to do it all the time with my sisters, cousins, and friends. My heart feels warm when I know someone was inspired by what I said or did and decide to do the same to improve themselves. Second is my passion for development and design. Being a Computer Science graduate, I had a great passion for web developing and designing, so I thought it would be a great opportunity for me to design my own website and show my talent and skills in hope that I’d open my own online web design business in shaa Allah. Lastly, I always loved to write and express myself. I used to do that first on a notebook that I had. I wrote the different thoughts that I had using a pen and paper; the traditional way. But then I thought it would be nice to keep a record of them and type them into documents on my computer and that’s what I did. It was only recently that I thought I’d be able to reach out to other Muslimahs by posting what I write online. Thus, I combined the purposes of inspiring Muslimahs, designing a website, and writing into the idea of my website. It’s been 9 months now and I’m very grateful to Allah (swt) that He gave me the ability to do it, alhamdulillah. 2. What is the best way to use/benefit from your website? ThePositiveMuslimah.com is a website for Muslimahs all over the world. It’s all about inspiration, motivation, and having a positive attitude toward life. It deals with a wide variety of issues that interest different tastes. I’ve designed the website to be as convenient as possible and organized it in an accessible way that every Muslimah will find appropriate in shaa Allah. The best way to use the website is to browse through it by the category that they think will fulfill whatever question or need they have and read what I have to say about it, then comment their thoughts or contact me with whatever opinion they have. 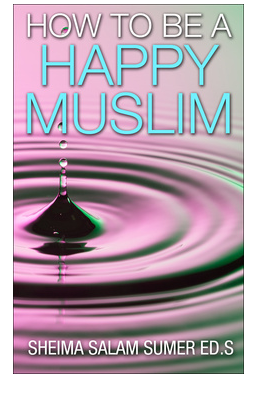 I believe Muslimahs will highly benefit from ThePositiveMuslimah.com by interacting with me and sending me their feedback, advice, questions, requests, and anything they’d like to tell me about as I’m willing to respond to them as soon as I can and deliver them what they need, want, and expect from a positive Muslimah. There are so many aspects of a Muslimah’s life that I try to present, I hope I’m touching them in the most gentle way possible. 3. What is it like to be a Muslimah living in Lebanon as compared to the U.K. or Canada? childhood. It was an amazing childhood full of lovely and unforgettable memories. When we started to grow up a bit more, my parents decided to bring us to Lebanon because they wanted us to be raised in an Arabic environment. However, it’s very challenging to live here in Lebanon. There are a lot of obstacles that you have to adapt to, especially the political disputes that affect national security and the unstable electricity and internet. But I try my best to cope with it, alhamdulillah. I do wish to go back for a visit sometime to the U.K. and Canada because I love how it’s organized, clean, fascinating, and full of memories. On the other hand, Lebanon is where all my family and friends are now and it’s where I met my husband, so that’s a good advantage of being here and I’m happy that I am, alhamdulillah. 4. How do you think Islam teaches us to be positive? Our beloved prophet is telling us to be sure that whatever happens to us was supposed to happen and whatever doesn’t happen (even if we wanted it to) wasn’t meant to happen. Hence, we should be positive that we’re in safe hands because Allah (swt) won’t hurt us and He’s very generous to give us more than what we deserve. Putting your faith in Allah (swt) also means placing faith in His timings because He makes everything happen in the most perfect time for us. No matter how hard we plan and think something is going to be good for us at a certain time, if Allah (swt) doesn’t make it happen it means that something even better at a more appropriate time is waiting for us in shaa Allah. Having that faith and trusting Allah (swt) with every detail of your life keeps you positive that everything will be great at the end and it will be better than you expect in shaa Allah. This is what Islam taught and continues to teach me, alhamdulillah. 5. What do you love most about Islam and being a Muslim? I love Islam as a whole since it’s the greatest way of life. Most importantly, I really admire how it cherishes women and protects them from any harm. It’s very fascinating how Islam treats Muslimahs as precious diamonds, gold, and pearls; being hard to get, which only increases the worth of our Muslim women and is not at all to oppress them. Islam additionally grants Muslimahs their rights before asking them to fulfill their duties. This not only shows how many people are wrong about their opinion of Islam mistreating women, but also reveals the greatness and fairness of this religion toward Muslims, especially women. 6. How do you stay positive during Ramadan, when fasting can be a little tough? Ramadan requires a lot of patience and strength, especially if you work, study, or have children to take care of. In Ramadan, I try to take it one day at a time. I prepare a list of things to do for the day ahead of time and I try to accomplish them without wearing myself out. At times, I do get very tired but I remind myself that time flies by too quickly and it’ll soon be time for Iftaar, so I should enjoy every moment of the day instead of worrying and focusing on my pain and weakness because before you know it Ramadan will end and I won’t be able to enjoy the numerous amount of blessings that Allah (swt) showers upon us during this Holy month. This always helps me stay positive. And even though I feel sad when Ramadan ends, I ask Allah (swt) to keep me positive and maintain the spirit of Ramadan throughout the year until it comes again in shaa Allah. 7. How do you stay positive in this world when most of the news/world events seem negative and sad? This attitude never fails to keep me positive alhamdulillah. I pray that I leave a positive fingerprint in this world for the sake of Allah. Jazaki Allah khayr for your lovely interview dear sis. It was an honor being interviewed by an amazing author and inspiring person like you!